He became the voice of the people of Kashmir. As a response, his two brothers were killed by the bullets that were meant to kill him. This is the tale of a communist living in South Kashmir’s Shopian district. 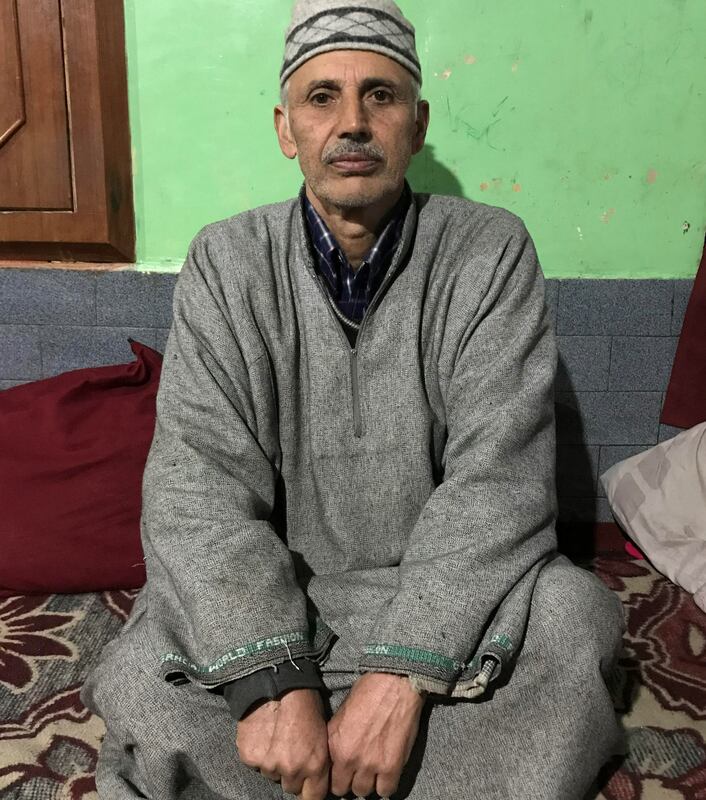 Seventy-year-old Ghulam Mohammad Sheikh is known as Master Ji in his village, Poshpora, (village of flowers), separated from other villages by dense walnut trees. In the middle of the village, there is a green mud and brick two-storey where he lives with his extended family. In 1967, Mohammad was posted as a teacher at Government High School in Kegam where he met a few members of the Communist Party of India (CPI). Impressed with the communist ideology, he joined CPI. The villagers soon knew Mohammad as a communist, which was a rare case in the Muslim-dominated place. In 1989, when the armed resistance movement started in Kashmir, the Jammu and Kashmir Liberation Front (JKLF) was a highly active militant outfit. Many mainstream political leaders were killed by the militants, including many party workers from CPI and CPI Marxist [CPI(M)]. Many political leaders and activists moved to Jammu and some moved to Delhi. In Shopian, a large number of leaders and activists of CPI (M) and CPI were killed. It was more due to a belief that “communists don’t believe in God” rather than being affiliated with a political party. Not many people knew about Mohammad’s affiliation with CPI as he was known more as a teacher. “I decided not to move out of my village, moving out of Kashmir was a faraway question,” he said. Within a few years, the armed resistance movement intensified and many other outfits came into existence. One among them was Hizbul Muzahideen (HM), whose ideology was based more on Islam. Their fight was against Indian rule in J&K, and aimed towards establishing Islamic rule. In February 1995, Mohammad was at home when a few people came brandishing AK-47 rifles and asked him to come out and speak to their leader. “Initially, I resisted but they promised me they won’t hurt me and I followed their instructions,” he said. He added that he was quite nervous while following them. Once out of his courtyard, which is surrounded by pine and evergreen trees, Mohammad found a large number of armed men outside. He had no idea that he was about to be kidnapped. As soon as he reached close to the “leader” he was told, “Paakh Asei Seeth (come with us),” but he denied. He pushed him away and ran towards one of his neighbours’ house. “They fired multiple shots towards me but luckily not a single bullet touched my body,” said Mohammad. He reached his house and hid under a table in a store-room. Even after this incident, he didn’t leave his village, as he thought his village is a secure zone and people like him will always be safe. The same year, government forces in Kashmir created a different way of dealing with militants. They created a militia which included mostly surrendered militants. The militia was named as Ikhwan (Arabic word meaning brothers). Weapons, money and security to the Ikhwan were provided by the Indian Army to nab the militants. One of the Ikhwan platoons was functioning in Shopian as well. This platoon was named Khawaja Commando Force, functioning with two paramilitary army in a camp located in Hawl, a few kilometres away from Poshpora. The camp is in a Kashmiri Hindu house. Residents of this house were asked to leave from the village due to the killings of many CPI and CPI (M) members. Taking advantage of being local, the Ikhwans were able to move to any place they wanted, as they were not in uniform. Like in other parts of Kashmir, the Ikhwan in Shopian would harass loot and torture people. They would go to any house and ask for money and if anyone failed to provide these, they were tortured. The fear of Ikhwans restricted Kashmiri people to their homes as early as 5 o’clock in the evening. 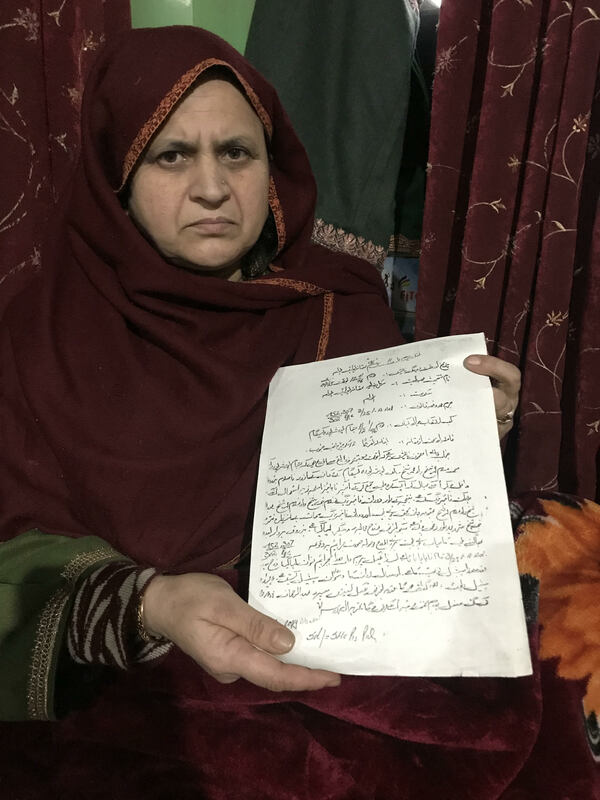 As per some locals of Poshpora, the Khawaja Commando Force militia would come to their houses and ask them for money and would loot their goods and torture the male family members. To seek justice against the brutal behaviour of Ikhwans, the people staged a protest and marched towards the Superintendent of Police’s (SP) office. This was in December 1996. On reaching the SP’s office, Bashir Ahmad Dar, the then SP of Pulwama asked the villagers to choose one person to talk about their issues, for which Mohammad was chosen. “I went inside and narrated the whole story of our suffering to the SP. However, he told me that he was helpless as the militia was related to the Army and he could not take action against them,” Mohammad said. But he gave him a way to represent the issue, as on the same day the northern army commander was supposed to visit there. All the villagers waited outside. Once he arrived, Mohammad was asked to describe the incidents in detail to the commander. Before they could do anything, locals gathered in Mohammad's courtyard forcing them to leave. 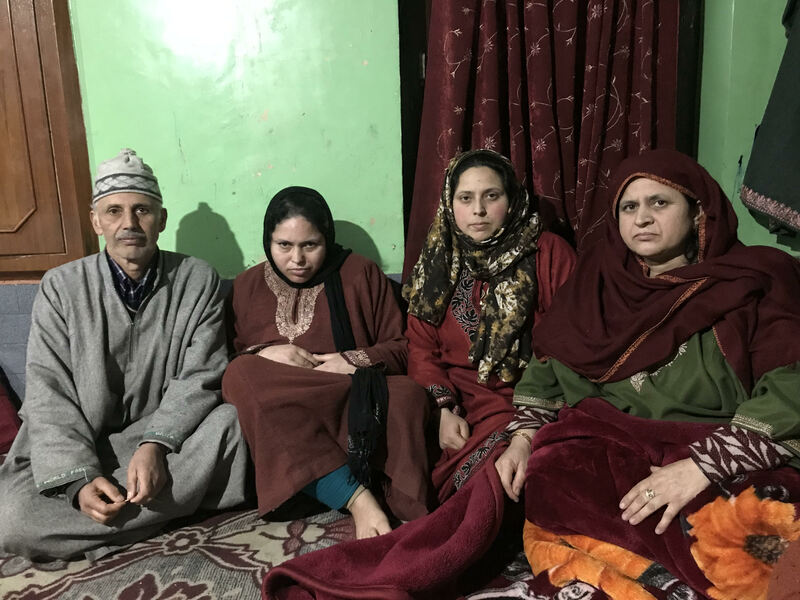 That brought relief to him and his family which then included his two brothers, Ghulam Nabi Sheikh, then 32 years old; Dr Abdul Rashid Sheikh, then 27 years old, and Nabi’s wife Amina Akhtar. Nabi is survived with four daughters and one son. Ghulam Mohammad Sheikh, 2 Benazir D/o Ghulam Nabi Sheikh, 3 Reshma D/o Ghulam Nabi Sheikh, 4 Amina Bano. A month later, on January 13, 1996, at around 12 a.m., Mohammad was sleeping with his family, when their sleep was interrupted by loud knocks on the gate. As Amina rushed and enquired who was at door, multiple voices replied that they are Ikhwan guys from the Hawl camp and that they want to talk to Master ji. Meanwhile, Mohammad ran upstairs and locked himself in a cupboard, and before Amina could ask anything more, they broke the door and entered forcefully. Amina recalled that when she asked them why they were there, they replied, “We are here to talk to Master Ji and don’t worry we won’t harm anyone.” She calmed down a bit when she saw some familiar faces, including Bashir Ahmad of Samboora Pulwama. The rest were hiding their faces. Following that, Amina went to Mohammad and asked him to come down as a few Ikhwani needed to speak to him. In the kitchen, Mohammad found all family members, including his three sons. The Ikhwani asked him to step out as they wanted to discuss something with other fellows who were in the courtyard. But he asked them to discuss in the kitchen itself as his family would feel insecure if he moved out. Bashir asked his commander, Akram Najar aka Akel to come inside and once all of them were inside, he asked Amina to prepare tea. “I stood up and moved towards the gas stove, meanwhile I heard Akram asking Mohammad Tchei Gowkeh Master (so you’re the master),” said Amina. She added that as soon as he moved his head to say yes, Akram fired towards him indiscriminately. He fell on the floor. Before anyone could figure out what had happened, the Ikhwanis left the room full of propellant smoke and bullet-ridden bodies. The neighbours immediately rushed to the spot and tried to help. Nabi who was sitting against the wall had his head hanging on a side and Rashid was lying down on his right side. The neighbours found many bullets in Nabi’s chest and a few in Rashid’s chest but he was alive. The people rushed him to the hospital but he succumbed to his injuries on the way. After a few days, he filed FIR against the culprits, while the SP asked him to leave Kashmir some time along with his family. Agreeing to the SP’s suggestion, he reached Delhi where he discussed the killing of his brothers with the then Home Minister H. D. Deve Gowda, who promised him a genuine probe. Till date, he has appeared in every hearing to seek justice and put felons behind the bars, but he is yet to get justice. After the killing of his brothers, Mohammad took the responsibility of Nabi’s family and made sure he provided for them, ensuring they never feel the loss of their father.